Canada’s captain at the IIHF World Junior Championship has made his first statement since being cyberbullied. Maxime Comtois, who was unable to score on an overtime penalty shot in the quarter-final against the eventual gold medal winners from Finland, had to disable the commenting feature on his personal Instagram page following the game. Comtois, who we later learned played through a separated shoulder during the tournament, was an easy scapegoat for some. As the captain and only returning player from last year’s gold medal winning team, he was a central figure for Team Canada. In the aftermath of the loss, a few low-lifes spammed his Instagram page with hurtful messages. Luckily, many more Canadian hockey fans reached out to Comtois, who celebrated his 20th birthday this week, to share words of support. 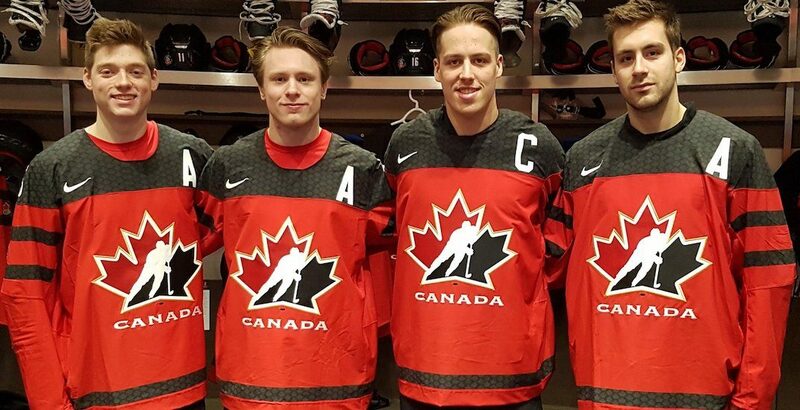 Comtois then shared a message which shows how much the World Juniors meant to him and his teammates, who gave it their all, but came up short. Playing in the World Junior Championships and representing Canada is a dream to every hockey kid in this country, and it was mine too. Last year, we achieved our goal of winning a gold medal, but we can’t say the same this year. However, this is not the end of the line for all of us, rather the start of our careers where we can learn from these types of games in order to advance as an athlete and grow as a person. Myself and my teammates gave their hearts and souls, both on and off the ice, to represent our country to the best of our abilities. The three and a half week process we went through will be one I will remember for my whole life. We grew from a group of hockey players around Canada to a family in that short amount of time. I want to thank each of my teammates for giving their best efforts every night, and the great Canadian fans for being behind us every single game. Especially our families, who sacrificed their holidays to support and be with us during this journey. I am proud to be Canadian, honoured to wear the maple leaf on my chest, and represent my country on the ice. A second-round draft pick by the Anaheim Ducks in 2017, Comtois has already appeared in 10 NHL games. He’s a good bet to be in the league full-time next season. Man of the people, voice of the fans. Daily Hive Sports Editor.